When your Honda is in need of new replacement parts or accessories, turn to genuine Honda parts. Honda drivers near Knoxville and Sevierville, TN can count on the parts department at Honda Morristown to provide all of the genuine OEM Honda parts and accessories their vehicles need at competitive prices. As a dedicated Honda dealership near Knoxville, we stock a stellar selection of authentic Honda components, fluids and accessories at our parts department. From older Honda used cars to late-model or new Honda vehicles, the parts department at Honda Morristown has you covered for all sorts of parts that will maintain or enhance your Honda's performance, efficiency, safety and cosmetic condition. At Honda Morristown, local drivers can order Honda parts online without even visiting our Morristown car dealership. 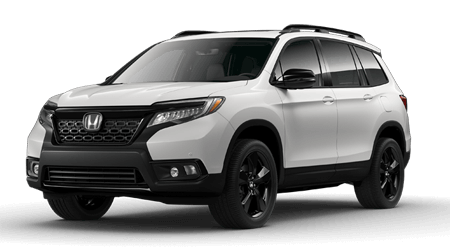 Fill out a parts request form below to have our Honda parts specialists review your order request and contact you to confirm the right parts for your particular Honda car, SUV or pickup truck. It really is that simple to get the high-quality, genuine Honda accessories or parts you need for your vehicle near Sevierville and Knoxville. If you have any questions about the order process or the parts you need for your Honda, feel free to contact our Honda parts staff by phone or with a visit to our dealership in Morristown, TN.